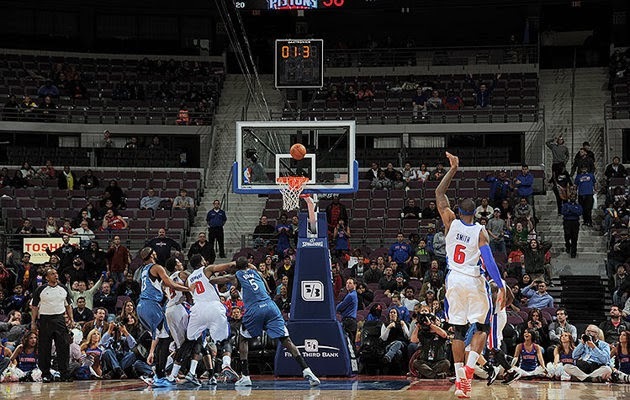 The above-pictured game-winning three pointer notwithstanding, the Pistons' frontcourt spacing issues are very real. For proof, look no further than Josh Smith's game log in which he took an astounding 32 three pointers in seven preseason games. Though he connected on a fair amount of those he took from outside (40.6%), we have too much data on Smith to believe this is anything other than a statistical anomaly. Greg Monroe and Andre Drummond's inability to be effective beyond five feet has forced Josh Smith out to the perimeter in what appears to be a schematic decision by Mo Cheeks. Assuming that Smith cannot continue to shoot 40% from downtown (as a career 28% shooter from outside, this is a reasonable expectation), the Pistons are going to settle for a lot of long two and three pointers. Cheeks needs to find a rotation that separates these three for a majority of the game, an issue which may be the motivating factor behind a Monroe trade during the season. Just as bothersome, the addition of Smith appears to have affected Monroe's efficiency around the basket. In preseason games against NBA competition, Monroe shot better than 40% from the field only twice. He went 32-85 (37.6%) in the preseason, which is not what you hope to see from your cornerstone offensive power forward. I don't pretend to have the answers here (aside from trading Monroe, which increasingly feels like a certainty to me), but Cheeks needs to find them soon. People balked at the two-year, $5 million deal the Pistons offered to Will Bynum this summer, but with Brandon Jennings out for the preseason, Bynum put on a show. In six games, Bynum managed 43 assists and perhaps more importantly for his playing time, only 17 turnovers. In the past, Bynum has been plagued by inconsistency, which reared it's ugly head a few times during the preseason (0-8 against the Bulls and 7 turnovers against the Heat), but he also proved to be an efficient penetrating guard who finishes well at the rim, has a mind-meld with Andre Drummond, and can smoothly run the offense. Bynum shot 53.6% from the field during the preseason and averaged 12 points in 29 minutes of play. Bynum could likely start for a handful of NBA teams (not particularly good NBA teams), and having him lead the second unit this season will be a boon for the team. I have no doubts that Cheeks and Chauncey Billups have been instrumental in boosting Bynum's consistency, and if these gains continue to grow, Bynum will become an integral part of the rotation. 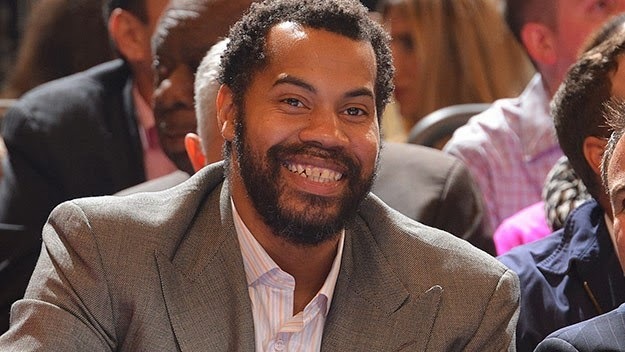 The Pistons brought back Rasheed Wallace to much fanfare, but there were legitimate questions about what effect he could have on the young frontcourt. Early returns are positive, mostly from the free throw line. Though the gains are slight, both Monroe and Drummond look improved from the line in the preseason. Monroe went 46-61 (75.4%) from the stripe through eight preseason games and Drummond went 15-32 (46.9%). Last year, the two went 68.9% and 37.1% from the line, respectively. Caveats about sample size are noted, but both players look more comfortable and have more repeatable routines that should improve as the season progresses. In addition, the development of Drummond's post game has been impressive. He still isn't a reliable option with his back to the basket, but there were a few preseason games in which it was clear a major part of the offensive gameplan was getting Drummond touches on the block. There are no doubts that Rasheed has had a hand in this development, which could turn into a major asset as the season goes on. Early returns, both in the summer league and the preseason, were disappointing for KCP, but his maturation and talent is clear to anyone who watched him closely over these past few months. In eight preseason appearances, KCP shot a shaky 8-32 from the three-point line, but teasing his numbers out a bit reveals a more promising picture. In the first three preseason games, KCP went 0-6, 1-5, and 0-5 from outside. Nervousness abounds early in a career, and excising those poor performances shows he shot 7-16 (43.75%) from outside over the final five preseason games. More consistency from outside will be important for KCP to garner significant minutes, but his skills and progress are obvious. KCP is more than a shooter though. He also pulled down 41 rebounds (5.13 RPG) amidst a frontcourt filled with rebounding phenoms, charted at least one assist and one steal in every contest, and only turned the ball over 10 times. There are going to be growing pains during the season, but KCP acquitted himself well this preseason in spite of some shaky shooting performances. I'm still withholding judgement about Billups' effectiveness this season, but I know what history says. The preseason was a nice surprise. Billups played in only three preseason games but put in a significant amount of minutes (19, 28, and 32). He went 6-15 from the three point line and produced a 3/1 assist/turnover ratio. With KCP's development and Billups' aging body, I still don't expect him to contribute consistently throughout the season (his defense was pretty rough), but if he can remain an outside threat, the Pistons should be able to find lineups to take advantage of his skills.